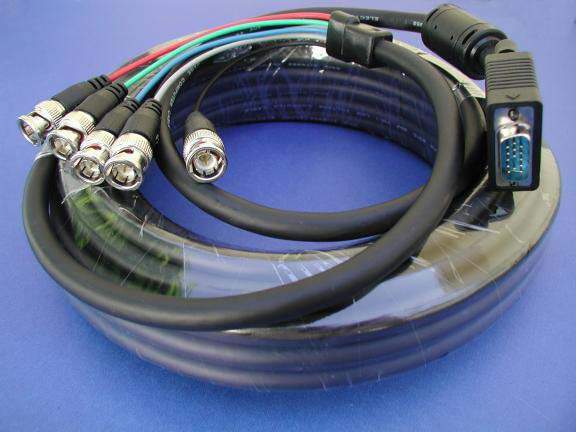 5-BNC to Super VGA Monitor Cable 50 Feet Length. Foil and Braided shield to meet FCC requirements on EMI/RFI interference. Ferrite Choke to Reduce EMI/RFI interference.